You have found one of the internet's premier independent resources for all things absinthe. 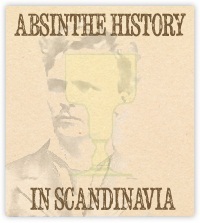 On Absinthe.se you find everything from accurate information on absinthe history and beautiful absinthe related poems, many written by some of the most well known historical absinthe drinkers. Absinthe.se is also one of the oldest and most reliable sources to unbiased, honest absinthe reviews of both the latest modern renditions to over century old rare vintage absinthe. Don't forget to read the Absinthe FAQ, learn about the true way to prepare an absinthe according to the absinthe ritual and delve into the intriguing Scandinavian history of absinthe - something Absinthe.se is devoted to researching in great detail. So, go on and explore the wonderful world that awaits you - let the green fairy guide you.